Addlethorpe is a small rural parish, bordered to the west and north by other rural parishes, to the east by Ingoldmells (formerly a United Benefice with Addlethorpe) and is situated approximately 5 miles north- west of Skegness. The current population is predominantly retired with a significant number of work-age people being involved in agriculture and the holiday industry. Most properties are privately owned; there is a small estate of houses and bungalows close to the church but at the present there are no property or expansive building developments taking place. The Methodist Church is still supported but there is no school, Post Office or shops. Business and Employment - Agriculture and businesses associated with it and the operation of Touring Caravan Parks are the principal sources of income and employment. There is a golf course, public house, restaurants, tea rooms and a number of fishing lakes, serving mainly the tourism industry. Dedicated to St. Nicholas, the church is a splendid example of medieval architecture in the Perpendicular style, being built between 1360 and 1420 and Grade 1 listed. The interior retains much of its original woodwork and fittings including the "Angel Roof". There is a peal of 6 bells and a Sanctus bell, restored in 1980. 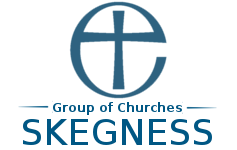 There is a joint team of bell ringers from Ingoldmells and Addlethorpe, recently reformed and an important fringe activity as many bell ringers go on to become involved in other aspects of church life. The pipe organ was originally acquired and removed from a redundant church and rebuilt by volunteers in Addlethorpe church in 1981. It is regularly maintained and played. The building is well maintained, having in recent years undergone significant refurbishment, including structural work on the nave and aisle roofs, a new tower roof and repointing of the tower and other areas of the building. 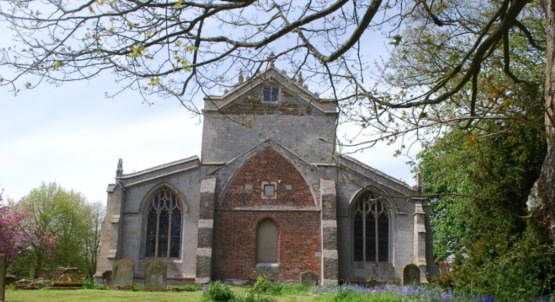 The PCC subscribes to the Lincolnshire Churches Trust (from whom grants have been received to help finance some of the above mentioned work), along with substantial grants from English Heritage. There are further plans to include the provision of a toilet and kitchen facility. Parochial Church Council - Addlethorpe has it's own PCC, with the posts of secretary, treasurer and Deanery Synod representative being held by members of the council.